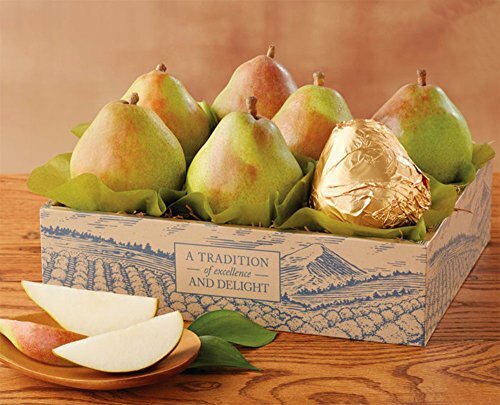 Our incredible pears are known for being "so big and juicy, you eat them with a spoon®," so when you give them as a gift, your recipient knows they're getting only the finest fruit. 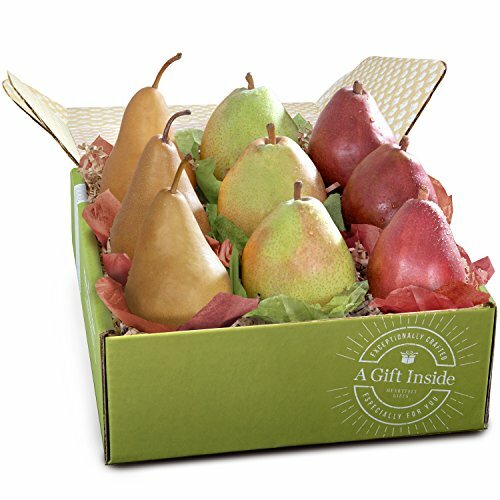 These sweet, succulent pears are the perfect gift of nature's wholesome goodness. 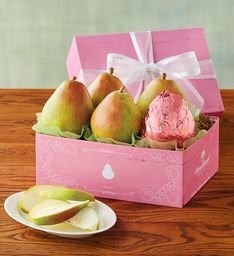 They arrive packed in a delightful pink gift box, with one pear individually wrapped in pink foil. 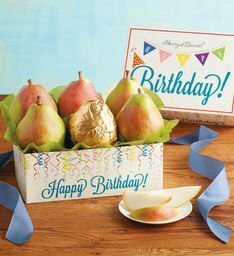 This box of juicy Royal Verano Pears comes with a placard inscribed with the words "Happy Birthday." 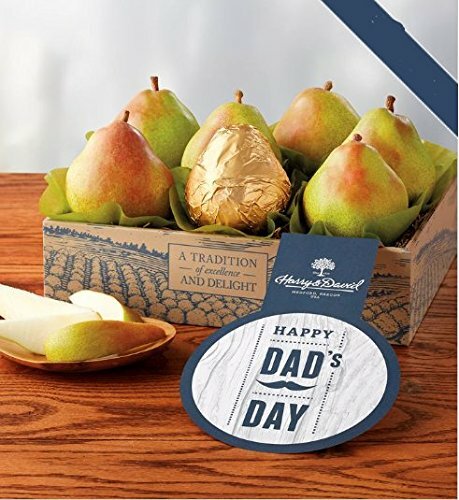 The Royal Verano Pears that go into this Father's Day gift are grown and tended with expert care to ensure they reach peak sweetness and flavor. Each is individually handpicked and shipped within hours to guarantee that they arrive fresh, juicy, and delicious. 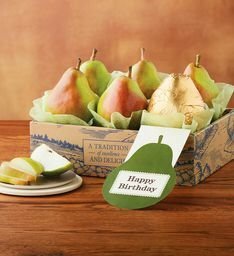 A great way to share a sweet and refreshing summer treat, this pear gift is enclosed in a box adorned with exclusively designed Father's Day artwork. The reputation of Royal VeranoTM Pears is well deserved, as these fruit are among the sweetest pears to be found anywhere. Grown in soil and climates that are perfect complements to Southern Oregon's, where we grow our Royal Riviera® Pears, Royal VeranoTM Pears are large, saturated with juice and smooth as butter. 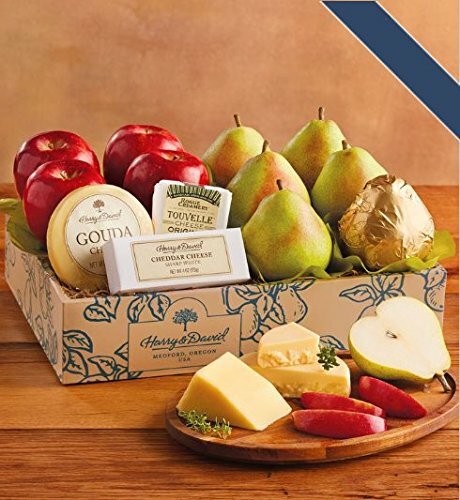 Expertly grown and tended, these exquisite and extraordinary pears make wonderful gifts, and each one is picked by hand. Royal VeranoTM Pears are perfect for any meal of the day, but we especially suggest trying them with a slice of cheese at snacktime or after dinner. 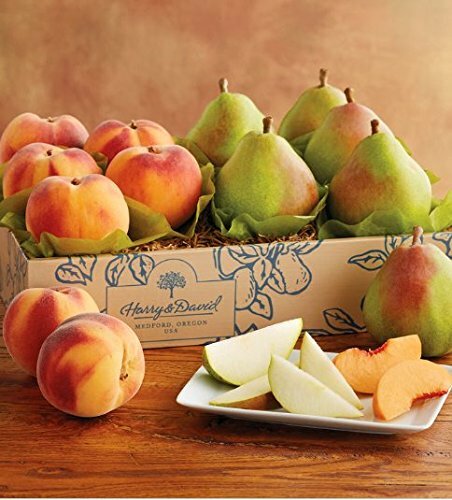 Sending Royal Verano Pears and Oregold® Peaches in one fruit delivery is a pure expression of sophisticated sweetness. These fruits are carefully tended and picked by hand at their peak. Royal Verano Pears are large, saturated with juice, and smooth as butter. Oregold® Peaches are extra sweet and astonishingly juicy. These are truly gourmet pears and peaches. Together they make a marvelous fruit gift. 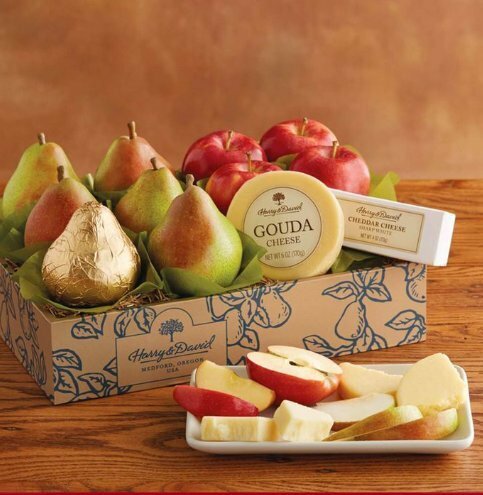 A Golden State Classic: Three tender, juicy pear varieties to tempt any palette!